Hope you had a good weekend folks. Dean and Daren are here to ease you into the first day of the work week. 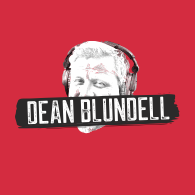 A rival radio company appears to have jacked Deans business model. We explain all the details. Some shocking video footage of the VikingSky Cruise ship in Norway, shows the ship tilting sideways and equipment and furniture being smashed into glass and people. The CannaCast is out! We recap what happened on it and what we can expect moving forward. Dean wrote quite the article on Eugene Melnyk over the weekend. Melnyk took shots at journalists and showed his true colours. The boys go over the tire fire that is the Ottawa Senators upper management. We jump down the rabbit hole of other meddling general managers. We close by singing The Gambler. It’s delightful.